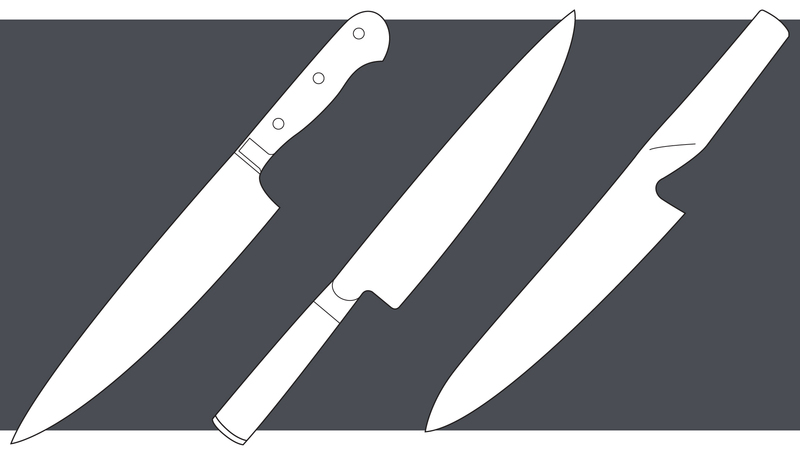 A chef’s knife is an object of great precision; refined over hundreds of years perfecting style, balance, and functionality, leading to a range of styles to fit all needs and tastes. 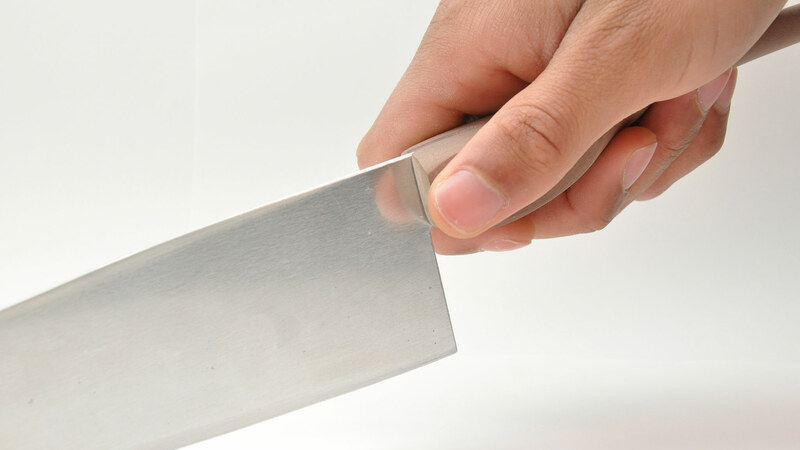 But one area of the knife still leaves room for improvement - the handle. 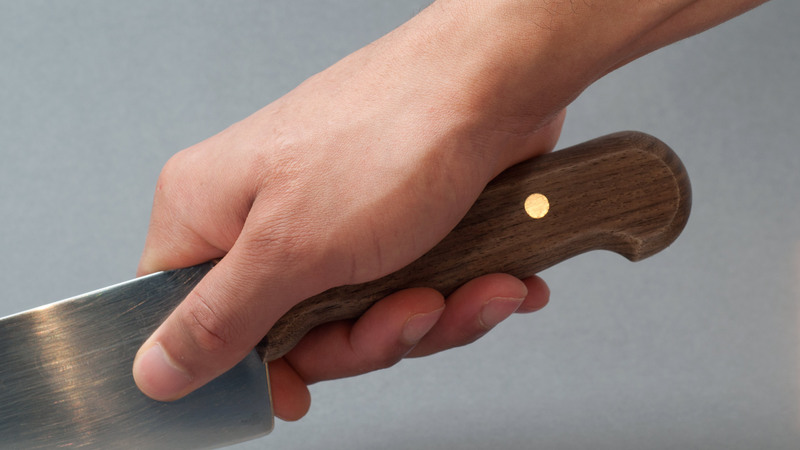 The standard knife grip relies on the thumb and forefinger, with the rest of the hand barely touching the handle. 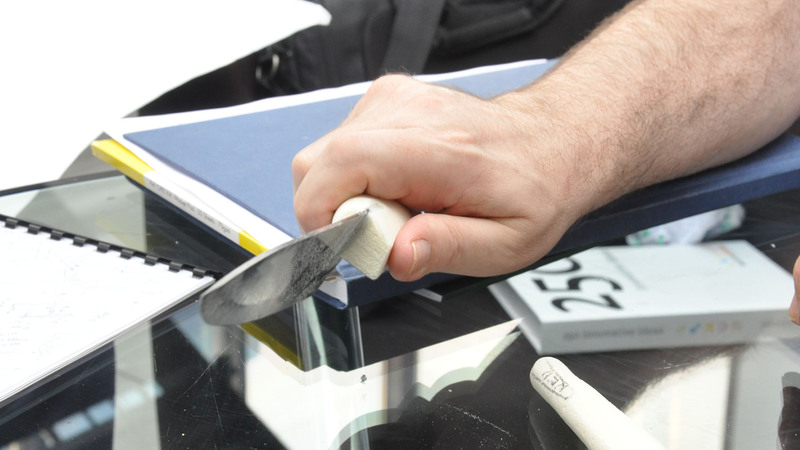 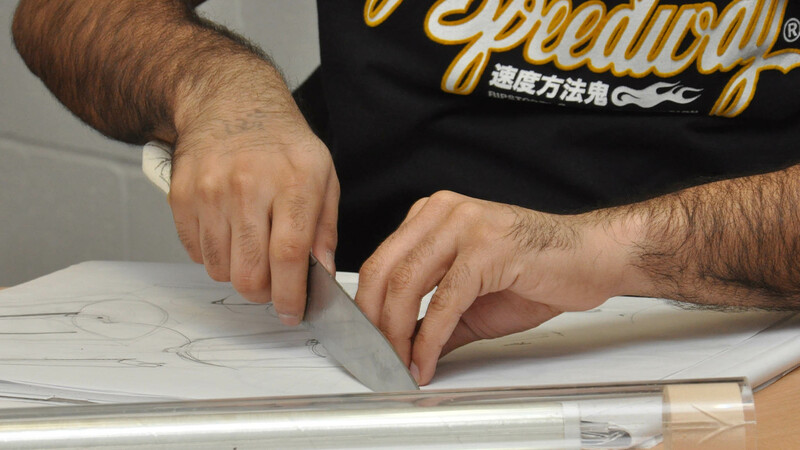 Initial ideas explored asymmetrical designs, following the form the hand takes whilst chopping. 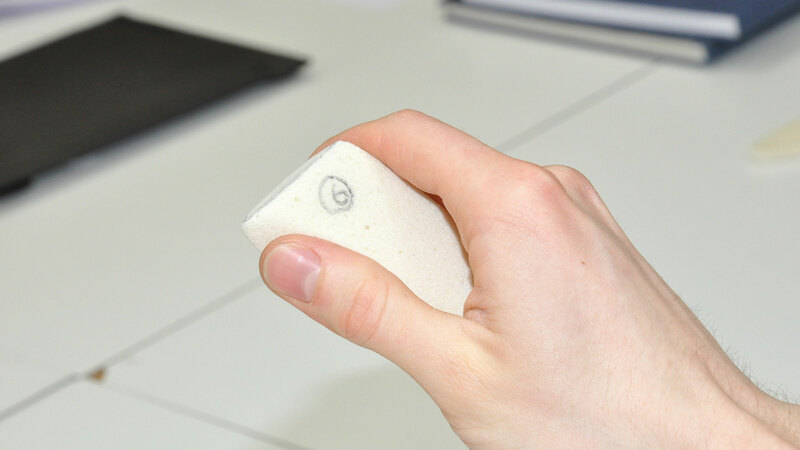 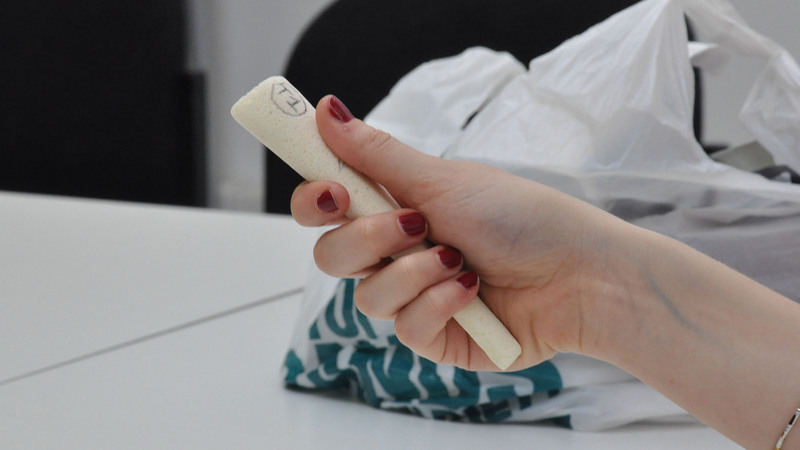 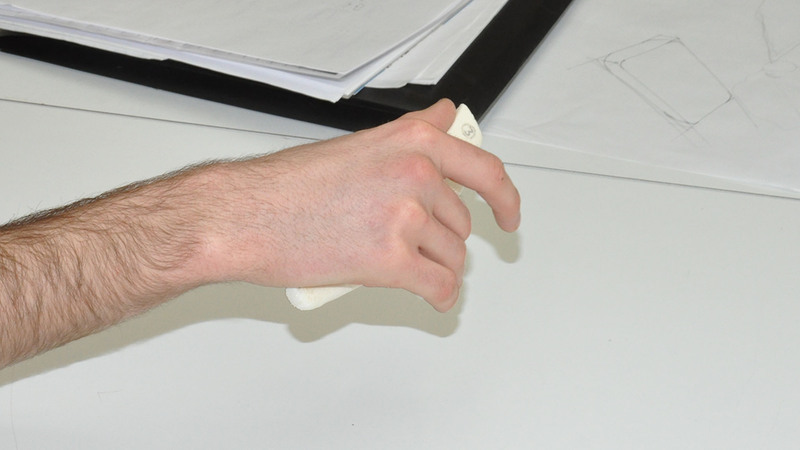 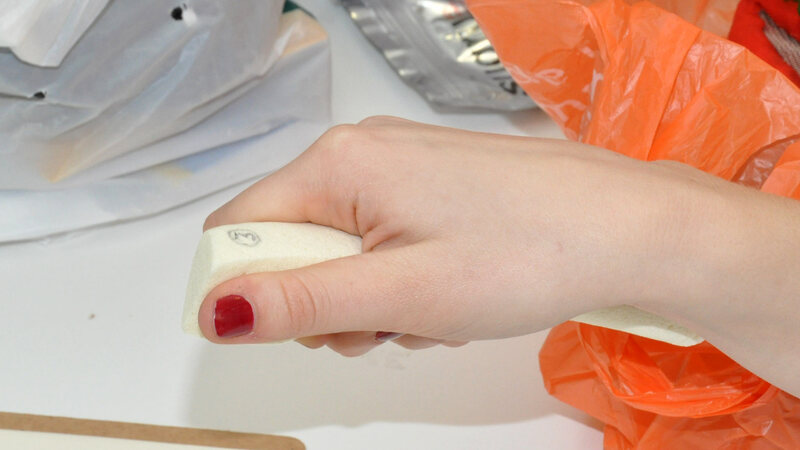 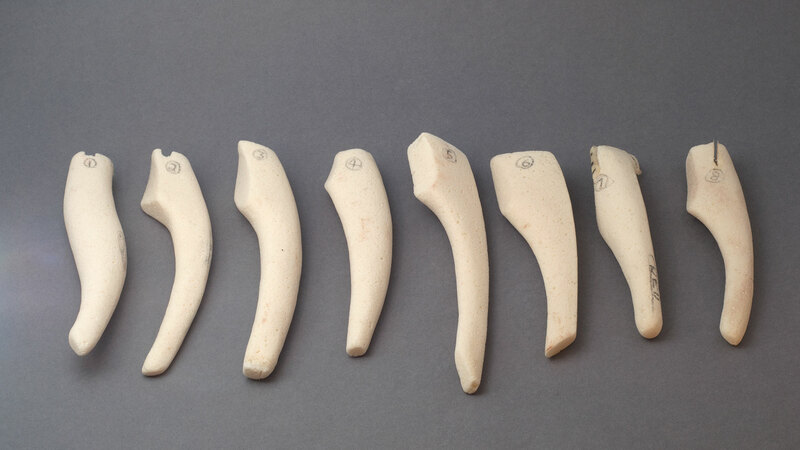 These were then developed into a series of quick models, further exploring how the hand interacts with the handle. 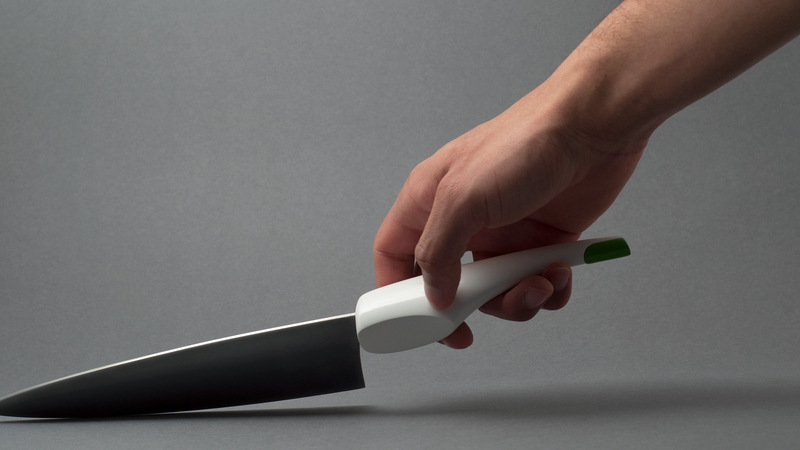 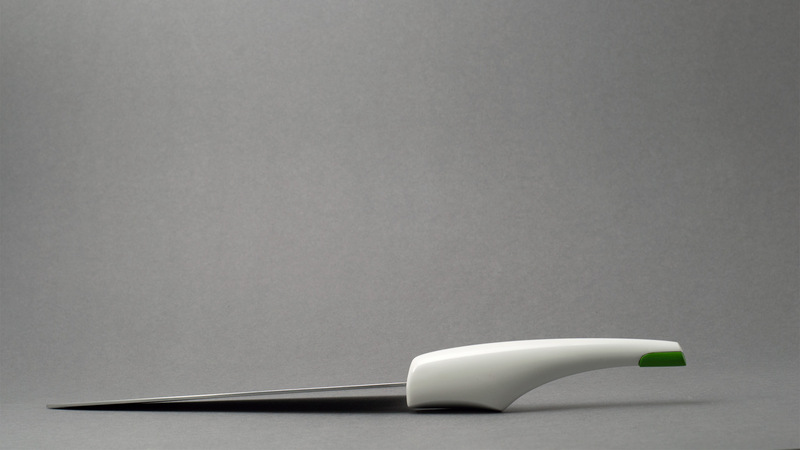 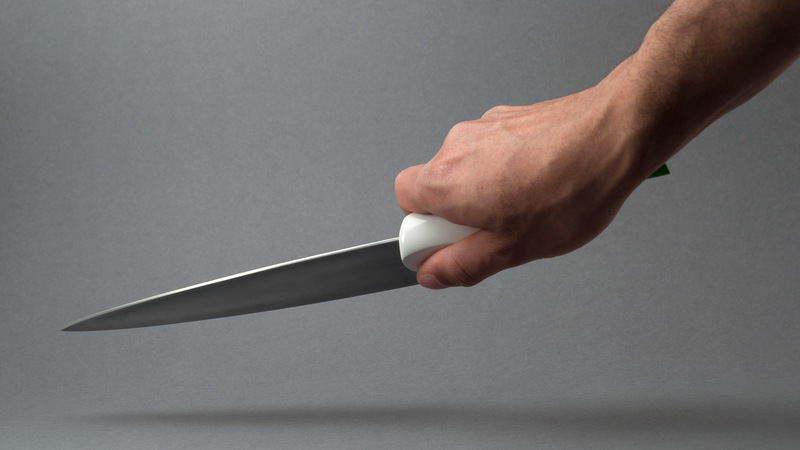 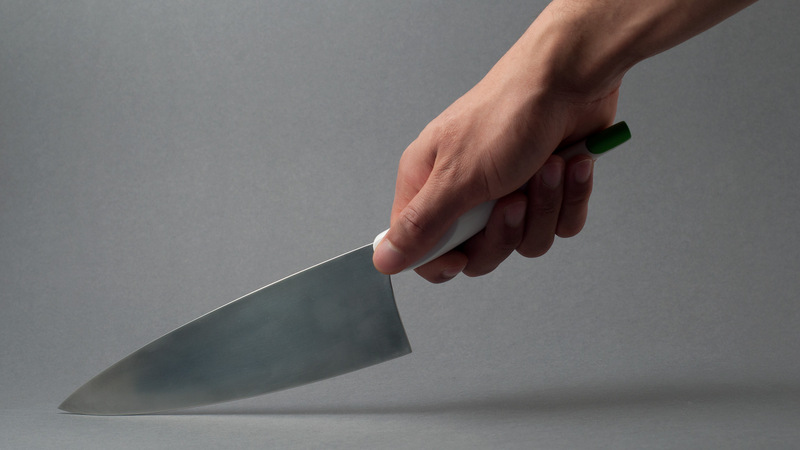 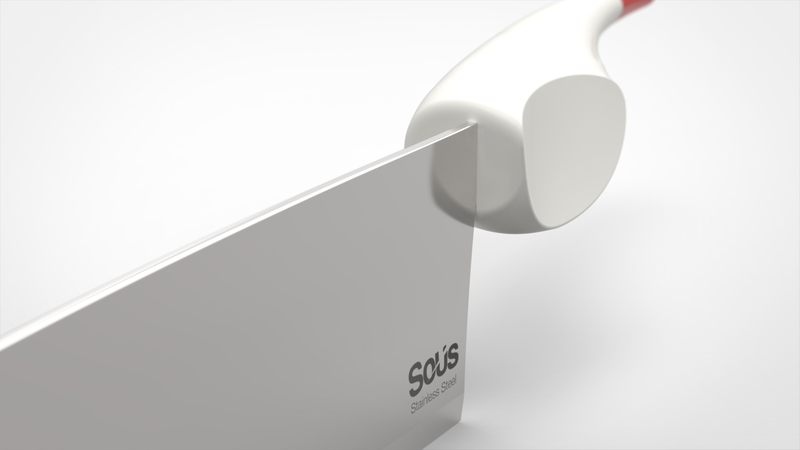 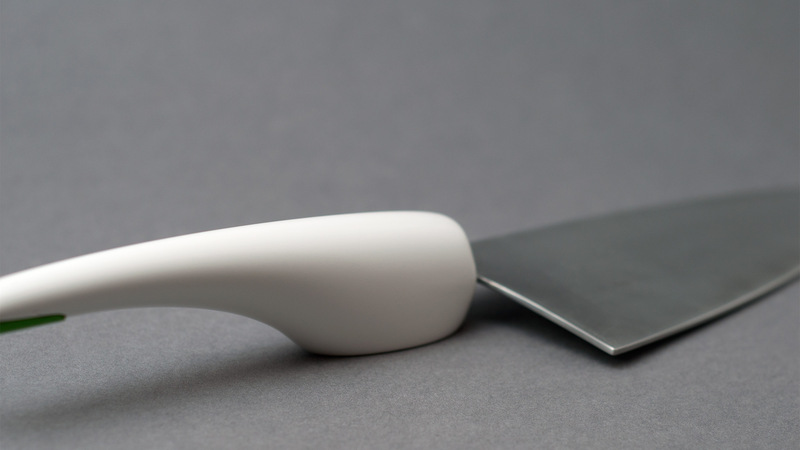 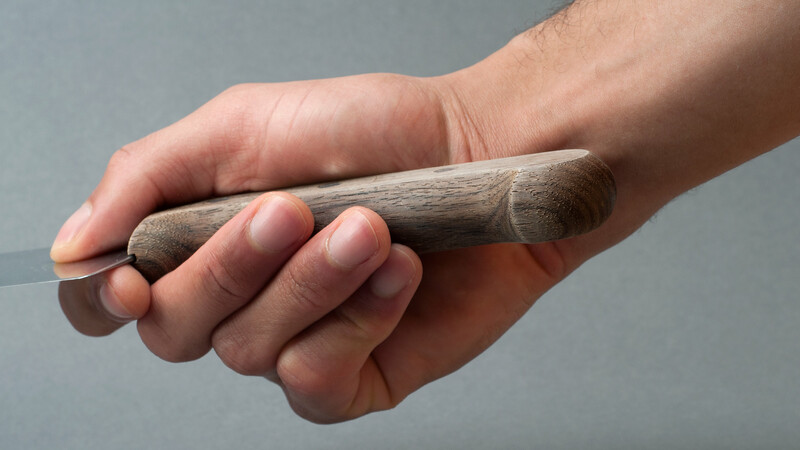 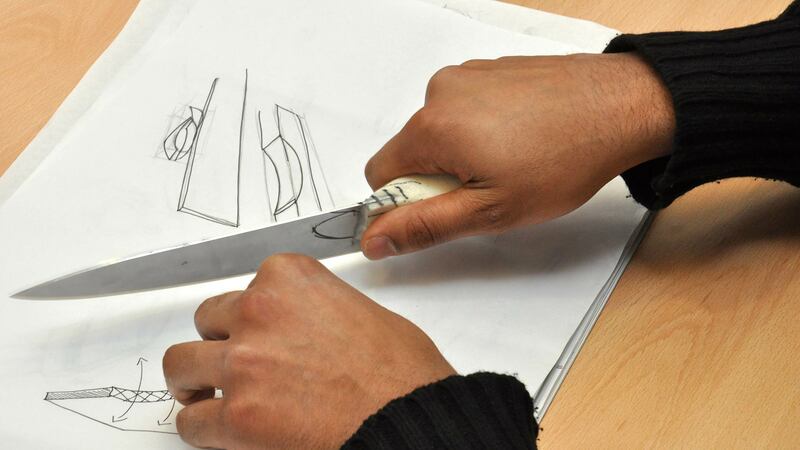 The developed form closely follows the contours of the hand, giving support to the user’s thumb whilst curving away from the centre line of the blade to allow the user’s fingertips to wrap around the end of the handle. 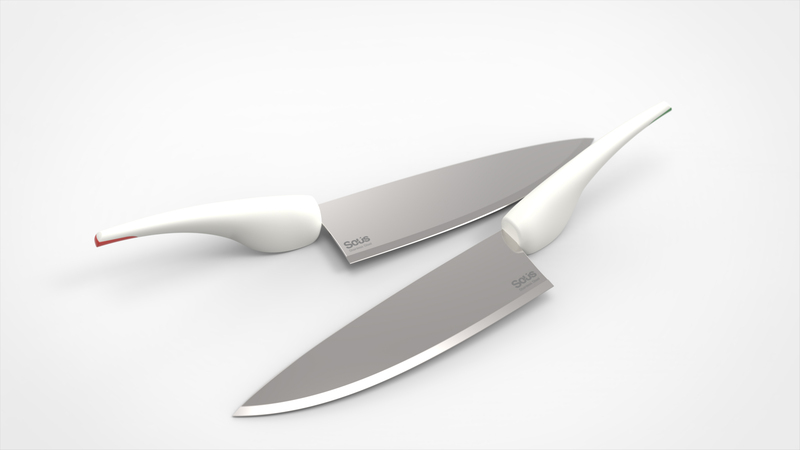 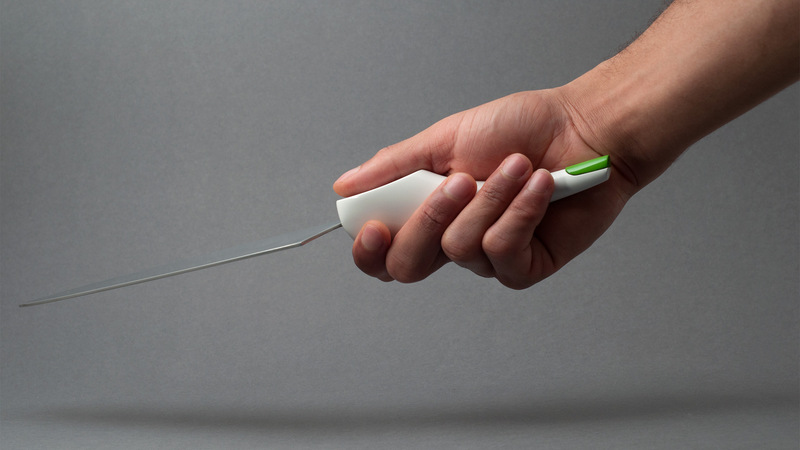 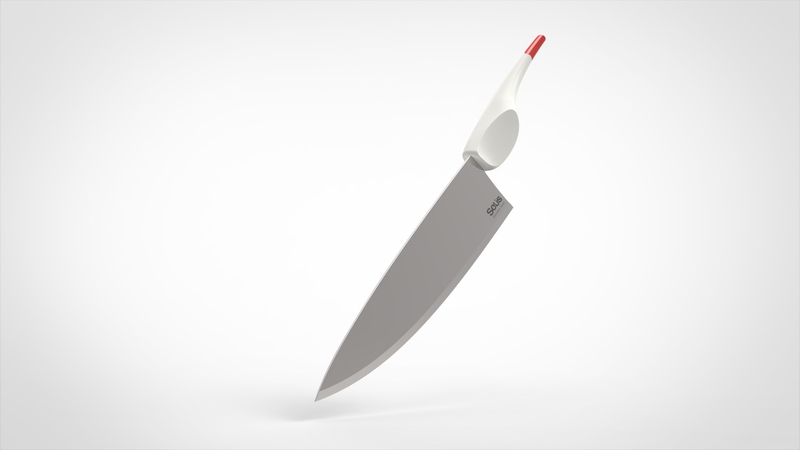 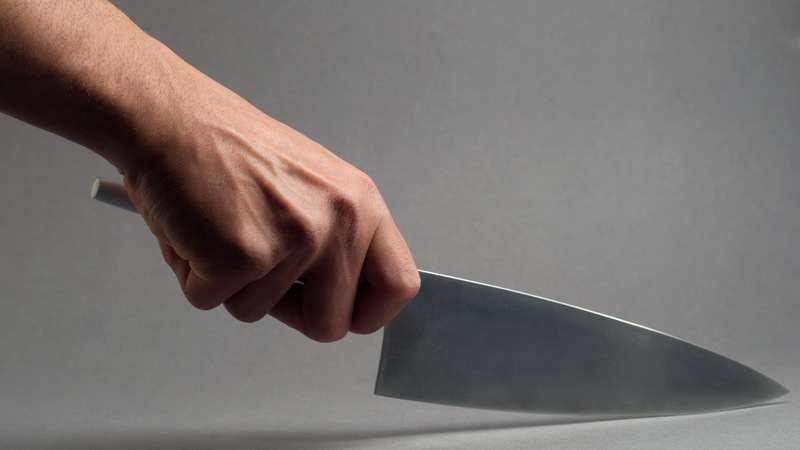 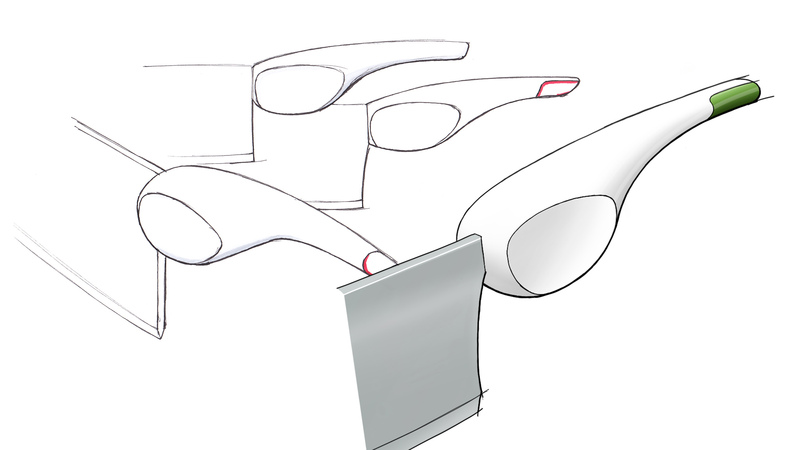 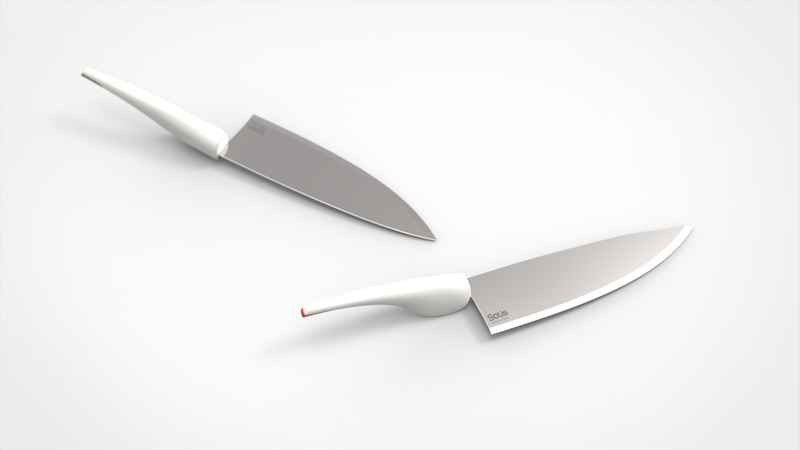 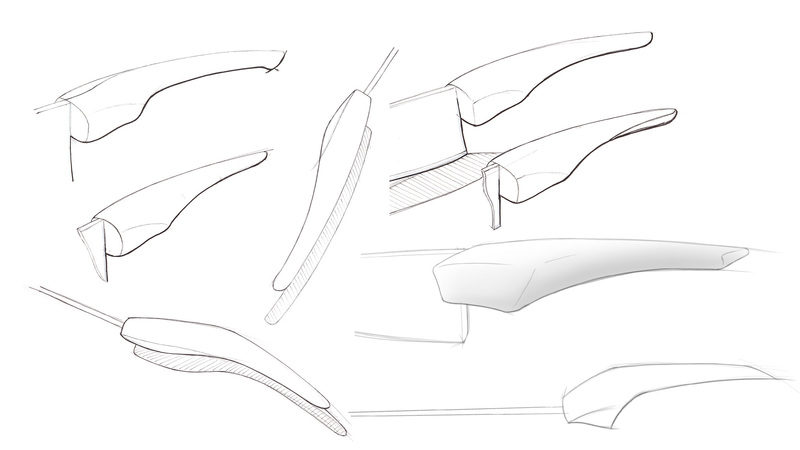 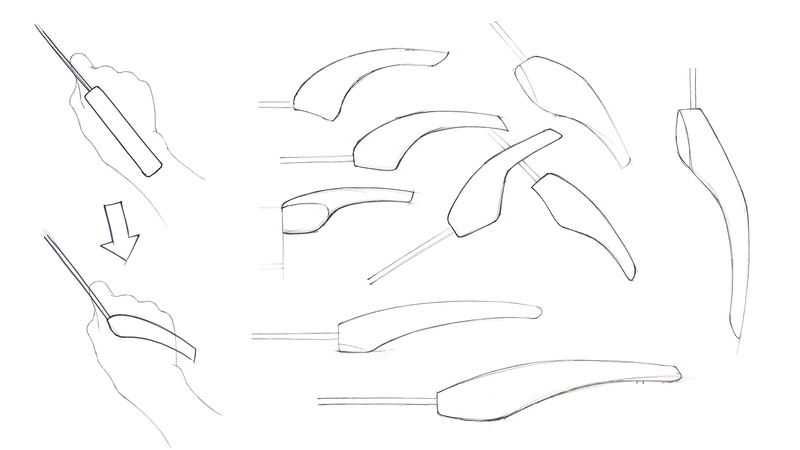 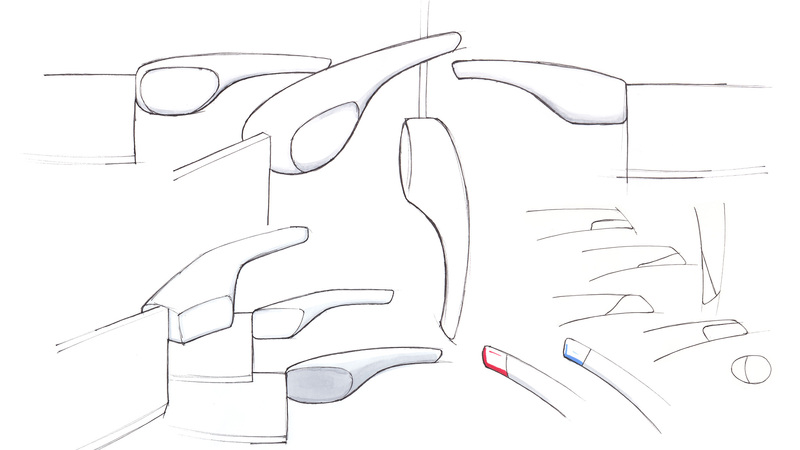 The final design has both right and left handed versions, giving the user a knife with a much closer fit to the hand, improving comfort and performance.